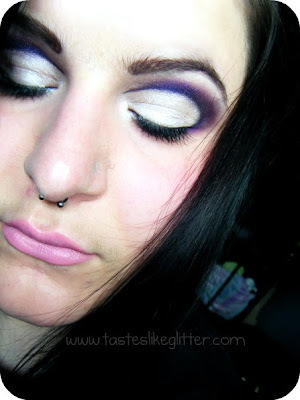 Push The Edge Cut Crease FOTD / A Few Ideas That I Need Opinions On Please. Ok, so last night I decided to have a little play around with my make up and was looking to try something different. I have never managed a cut crease before so I watched the What Style Is To Nickel - 3D Cut Crease Tutorial and did it at the same time. I ended up coming up with this. The original version was done at about 3/4 this morning and I think it turned out pretty good for a first attempt. The lightest colour from the Coastal Scents 88 Shimmer Palette (All over lid). M.A.C Eyeshadow - Carbon (Cut crease). M.A.C Kohl Power - Feline (Cut crease, lower lashline) (LE). 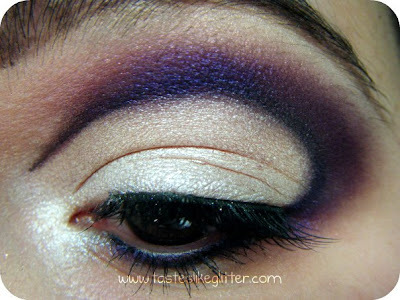 M.A.C Pigment - Push The Edge (Above crease) (LE). 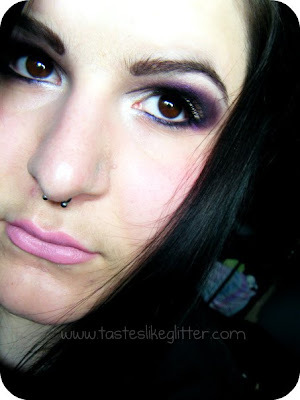 M.A.C Pigment - Pink Opal (Highlight). M.A.C Lashes - 41 (LE). This is alot more dramatic then my last FOTD, so what are we thinking about this? I know it's not everyones cup of tea but I'd love to know what you all think about it. Criticism is also good.